A program agenda is likened to the skeletal system of the human body. Many people are tired of holding programs that are not organized and forever looking for ways to improvise their program agenda. It is the basis for the program’s structure. If you are in a similar situation, we understand it is essential for you or your organization to have a proper agenda for any program to make it smooth sailing and successful. Without it, the activities of a certain program or event will be all over the place, and nothing will be completed on time. As usual, the program agenda needs to be written soon after you decide to hold the program or receive information about a program being scheduled with you as the event manager. 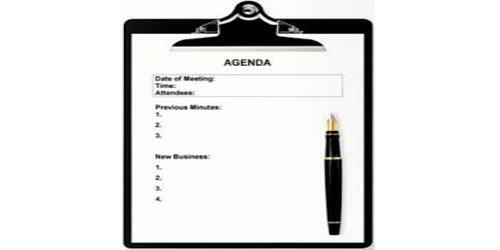 Well-organized program planners make an agenda containing a list of specific matters to talk about or things to accomplish in a program. The objective of writing the program agenda at the earliest possible moment is to give yourself sufficient time to initially prepare the agenda and after that begin preparing for the program itself. The program agenda is not written for anyone unless you are working with an event management company. It will help you to get organized, manage your time properly, and, have a good idea about what should be done if things were to fall by the wayside for any reason. It could be a list of instructions or details that are proven to be useful to your target audience. The program agenda is the guide you need to get organized and remain so until the event is completed. Agenda writing is only complicated if you make it complicated. If you have decided to manage the event yourself, you can begin writing the program agenda. You are likely to have all the information about the things that need to be done or avoided. You should create a list which will help you to sort out your priorities or that of the organization as required. The program agenda can also set the tone for the program because it will give the participants the topics and activities which they should be focusing on. Remember, an agenda should be able to guide participants on everything that they need to know.